Whipple’s disease (WD) is a rare systemic disease caused by the gram-positive bacillus Tropheryma Whipplei and mostly characterized by arthralgias, chronic diarrhea, weight loss, fever and abdominal pain [1Dutly F, Altwegg M. Whipple's disease and “Tropheryma whippelii” Clin Microbiol Rev 2001; 14: 561-83.]. The diagnosis depends on the detection of periodic acid-Schiff (PAS)-positive macrophages and the identification of rod-shaped bacilli within these cells on electron microscopy. Polymerase chain reaction (PCR) analysis for Tropheryma Whipplei has been considered to be a non-invasive, valid diagnostic method in WD, specifically in cases of Central Nervous System (CNS) WD [2Ramzan NN, Loftus E Jr, Burgart LJ , et al. Diagnostic and monitoring of Whipple's disease by polymerase chain reaction Ann Intern Med 1997; 126: 520-7.]. CNS involvement is not uncommon and it may precede other disease manifestations, appear after treatment and improvement of gastrointestinal signs or more rarely be the only WD symptom [3Schmitt BP, Richardson H, Smith E, Kaplan R. Encephalopathy complicating Whipple's disease failure to respond to antibiotics Ann Intern Med 1981; 94: 51-2., 4Panegyres PK, Foster JK, Fallon M, Connor C. The amnesic syndrome of primary Whipple disease of the brain Cog Behav Neurol 2010; 23: 49-51.]. Treatment approaches include antibiotics; not only they have decreased the number of deaths and morbidity but also they have prevented irreversible multisystem damage. We report a case with unexplained neurological signs and symptoms, then diagnosed with WD and appropriately treated, resulting in improvement of major symptoms. WD is a rare systemic infection that may virtually affect any organ system in the body with traditional symptoms in the small bowel. CNS involvement occurs in approximately 50% of WD postmortem examinations; CNS clinical manifestations are observed in only 20-40% of patients [5Fleming JL, Wiesner RH, Shorter RG. Whipple's disease clinical, biochemical, and histopathological features and assessment of treatment in 29 patients Mayo Clin Proc 1988; 63: 539-1.-7Gerard A, Sarrot-Reynauld F, Liozon E , et al. Neurologic presentation of Whipple disease report of 12 cases and review of the literature Medicine (Baltimore) 2002; 81: 443-57.] whereas approximately 5% of patients present with CNS symptoms alone [5Fleming JL, Wiesner RH, Shorter RG. Whipple's disease clinical, biochemical, and histopathological features and assessment of treatment in 29 patients Mayo Clin Proc 1988; 63: 539-1. ].Relapses after treatment are not rare and CNS manifestations carry the highest relapse rate [7Gerard A, Sarrot-Reynauld F, Liozon E , et al. Neurologic presentation of Whipple disease report of 12 cases and review of the literature Medicine (Baltimore) 2002; 81: 443-57.]. Isolated CNS manifestations presenting as relapse of previously treated WD but without histological evidence of intestinal involvement have been observed during or years after antibiotic treatment, specifically when the initial therapy is of short duration, making the treatment of relapse more difficult than the first manifestations [8Keinath R, Merell DE, Vlietstra RE, Dobbins WO III. Antibiotic treatment and relapse in Whipple's disease long term follow-up of 88 patients Gastroenterology 1985; 88: 1867-73., 9Brandle M, Ammann P, Spinas GA , et al. Relapsing Whipple's disease presenting with hypopituitarism Clin Endocrinol 1999; 50: 399-403.]. Our patient referred to our hospital with predominant neurological symptoms, in accordance with the WD spectrum of CNS manifestations [5Fleming JL, Wiesner RH, Shorter RG. Whipple's disease clinical, biochemical, and histopathological features and assessment of treatment in 29 patients Mayo Clin Proc 1988; 63: 539-1., 7Gerard A, Sarrot-Reynauld F, Liozon E , et al. Neurologic presentation of Whipple disease report of 12 cases and review of the literature Medicine (Baltimore) 2002; 81: 443-57., 10Stamboulis E, Kararizou E, Manta P, Grivas I. Segmental myoclonus in Whipple's disease Electromyogr Clin Neurophysiol 1995; 35: 113-6.]. At admission, he had no active gastrointestinal tract symptoms but his history included single or recurrent episodes of arthralgia, fever and lymphadenopathy. During previous admission to outpatient clinic, short-duration antibiotic treatment might result in symptoms to be relief. However, our patient was not diagnosed with WD at that time. Multiple hospital admissions are not uncommon before the diagnosis of WD [11Magira EE, Gounaris T, Sioula E. Whipple's disease multiple hospital admissions of a man with diarrhoea, fever and arthralgia J Infect 2005; 51: E35-7.]. According to our previous clinical experience in Whipple’s disease [10Stamboulis E, Kararizou E, Manta P, Grivas I. Segmental myoclonus in Whipple's disease Electromyogr Clin Neurophysiol 1995; 35: 113-6., 12Stamboulis E, Manta P, Kararizou E, Grivas I. Whipple's disease with tubular aggregates in asymptomatic muscle Clin Neuropathol 1993; 12: 121-4. ], our patient’s history and the spectrum of neuro-cognitive features (mild ataxic walking, impaired vertical gaze, dysarthria and myoclonic movements, cognitive impairment, depressive mood) before and during his hospitalization, initial clinical and laboratory findings (which ruled out other diagnosis as possible), and proposed diagnostic procedures in CNS Whipple’s disease [13Louis ED, Lynch T, Kaufmann P, Fahn S, Odel J. Diagnostic guidelines in Central Nervous System Whipple's disease Ann Neurol 1996; 40: 561-8. ], we thought that Whipple’s disease should be included as a possible cause of patient’s signs and symptoms during the last years and thus laboratory examination for Tropheryma Whipplei [14Cohen L, Berther K, Danga C , et al. Polymerase chain reaction of CSF to diagnose Whipple's disease Lancet 1996; 347: 329.] was performed that confirmed the diagnosis. An unusual case of Whipple’s disease without CNS involvement presented with a broad spectrum of clinical symptoms and prolonged disease duration of approximately 30 years with multiple relapses (e.g. four relapses) has been recently presented [15Lochouam M, Lagier JC, Raoult D, Pulcini C. A case of Whipple's disease evolving over 30 years Med Mal Infect 2014; 44: 331-.]. On other hand, isolated CNS Whipple’s disease can been diagnosed even in the absence of typical MRI findings [16Compain C, Sacre K, Puechal X , et al. 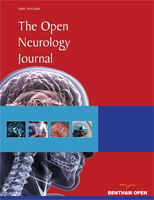 Central nervous system involvement in Whipple disease clinical study of 18 patients and long-term follow-up Medicine (Baltimore) 2013; 92: 324-0., 17Sung VW, Lyerly MJ, Fallon KB, Bashir K. Isolated CNS Whipple disease with normal brain MRI and false-positive CSF 14-3-3 protein a case report and review of the literature Brain Behav 2012; 2: 838-43.]. PCR has been emerged as a way to establish the diagnosis of WD in the setting of non-diagnostic tissue biopsies. In our case after the confirmation of possible CNS WD (fever of unknown origin, chronic migratory arthralgias, unexplained lymphadenopathy, supranuclear vertical gaze palsy, rhythmic myoclonus, severe cognitive deficits and psychiatric manifestations, hypothalamic manifestations), duodenal biopsy and PCR analysis of stools, blood and CSF was conducted. The duodenal biopsy specimen was not remarkable (PAS negative, electron microscopy not performed) but PCR analysis of stools and blood was positive. Thus, the diagnosis of definite WD with CNS involvement was confirmed, according to the diagnostic guidelines proposed by Louis et al. [13Louis ED, Lynch T, Kaufmann P, Fahn S, Odel J. Diagnostic guidelines in Central Nervous System Whipple's disease Ann Neurol 1996; 40: 561-8.]. In order to confirm the diagnosis of possible CNS WD [13Louis ED, Lynch T, Kaufmann P, Fahn S, Odel J. Diagnostic guidelines in Central Nervous System Whipple's disease Ann Neurol 1996; 40: 561-8. ], the patient “must have any 1 of 4 systemic symptoms, not due to another known etiology: 1) fever of unknown origin, 2) gastrointestinal symptoms (steatorrhea, chronic diarrhea, abdominal distention, or pain), 3) chronic migratory arthralgias or polyarthralgias and also must have any 1 of 4 neurological signs, not due to another known etiology: 1) supranuclear vertical gaze palsy, rhythmic myoclonus, 3) dementia with psychiatric symptoms, 4) hypothalamic manifestations”. For the diagnosis of definite CNS WD [13Louis ED, Lynch T, Kaufmann P, Fahn S, Odel J. Diagnostic guidelines in Central Nervous System Whipple's disease Ann Neurol 1996; 40: 561-8. ], the patient “must have any 1 of the following 3 criteria: 1) oculomasticatory myorhythmia or oculo-facial-skeletal myorhythmia, 2) positive tissue biopsy, 3) positive PCR analysis. If histological or PCR analysis was not performed on CNS tissue, then the patient must also demonstrate neurological signs. If histological or PCR analysis was performed on CNS tissue, then the patient need not demonstrate neurological signs”. Our patient met 7 out of 8 diagnostic criteria for possible WD with CNS involvement [13Louis ED, Lynch T, Kaufmann P, Fahn S, Odel J. Diagnostic guidelines in Central Nervous System Whipple's disease Ann Neurol 1996; 40: 561-8. ]: fever of unknown origin, chronic migratory arthralgias, unexplained lymphadenopathy, supranuclear vertical gaze palsy, rhythmic myoclonus, severe cognitive deficits and psychiatric manifestations, hypothalamic manifestations. Positive PCR findings in stools and blood confirmed the diagnosis of definite WD with CNS involvement, considering the presence of neurological signs as well [13Louis ED, Lynch T, Kaufmann P, Fahn S, Odel J. Diagnostic guidelines in Central Nervous System Whipple's disease Ann Neurol 1996; 40: 561-8.]. It has been reported that a couple of factors may contribute to a negative intestine biopsy, namely the absence of chronic diarrhea, lack of endoscopic guidance, specimens not examine by electron microscopy, biopsy not repeated at least once if initially negative [18Rowland LP, Pedley TA, Louis ED, Eds. Whipple Disease Merritt's Neurology Lippincott Williams & Wilkins. 2010; pp. 248-9.]. Three of the previous factors are confirmed in our case (absence of chronic diarrhea, electron microscopy not performed, biopsy not repeated after the initial negative findings). Furthermore, Panegyres and colleagues (2006) reviewing the literature and presenting 19 patients with primary WD of the brain without systemic involvement (in contrast to our patient) found three patients with negative or inconclusive PCR on CSF [19Panegyres PK, Edis E, Beamn M, Fallon M. Primary Whipple's disease of the brain characterization of the clinical syndrome and molecular diagnosis QJM 2006; 99: 609-23.]. Thus, even in cases with primary CNS WD without any gastrointestinal or other systemic involvement CSF PCR may be negative. On the other hand, it has recently been suggested that a negative PCR result or negative finding on small bowel biopsy do not completely exclude the diagnosis of WD with CNS involvement [20Black DF, Aksamitb AJ, Morrisa JM. MR imaging of Central Nervous System Whipple disease a 15-Year review AJNR 2010; 31: 1493-7. ].